When does life insurance cover suicide? The issue of underfunded pension plans and workers benefits came to the fore on Parliament Hill last week, provoking a response from the prime minister. Earlier this month, the iconic retailer filed for insolvency and announced it would reduce pensions and eliminate health benefits. Coming so soon after details of a $9.2 million payout for executives was revealed, the announcement infuriated Sears workers. In response, CARP, Canada's largest advocacy group for seniors, met with MPs in Ottawa last week, urging them to draft new legislation to protect pensioners. In attendance was CARP's VP of Advocacy Wanda Morris, who was largely satisfied that their words had been heeded. Discussing the Sears case at the House of Commons, the prime minister stated that affected workers would have their pensions protected. 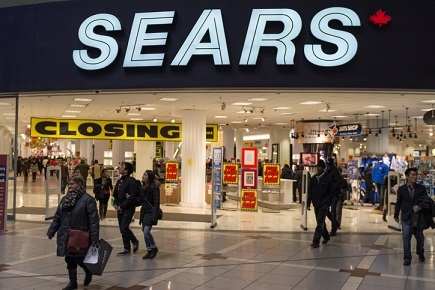 “I understand the current Sears Canada pension fund assets are held in trust and must be used solely for the benefit of pensioners,'' Trudeau said. This doesn’t tell the entire story, however, as Morris outlines. While the payments workers made into the pension fund are indeed safe, failure by the employer to make its required contributions mean these funds are now badly underfunded. With Sears, it’s a $250 million shortfall that will affect some 16,000 pensioners, who also lose their health/dental benefits, in addition to their life insurance. The liquidation process has been damning for a once proud institution, but it is far from an isolated case, with similar accusations levied against US Steel, Stelco, Algoma steel, Wabush Mines, and Cliff Mines. For that reason, CARP presented a petition signed by 20,000 people calling for greater protection of pensioners to Canada’s three major parties. NDP MP Scott Duvall is duly calling for major legislative changes, while Bloc Québécois MP Marilène Gill has introduced Private Member’s Bill C-372. The bill seeks to amend both the Bankruptcy and Insolvency Act and the Companies’ Creditors Arrangement Act, thus giving priority status to pension and benefit claims during an insolvency or restructuring. It’s a change that is long overdue in Morris’ opinion, and one that will mean other companies facing bankruptcy must prioritize their workers. Of course Morneau Shepell is getting their cut. Of course. It's all about the middle class, says Justin. It is a shame and outrageous that workers who have been working and expecting a pension, suddenly are told that they have no pension. Imagine, you have worked at a company for years, you are now looking at the time in life where you have earned the right to retire when you will get a well-deserved pension. The ax falls and your pension is chopped even though there is money in the coffers. However, a worker is a mere commodity all of a sudden, not worth much, as far as the company is concerned. Pay the big guys and let the loyal workers sink, workers are no longer useful, let them go out into the jungle and fend for themselves. This is grossly unfair, pensions must be protected. Companies should take care of workers first since without workers there would be no company. Workers without a pension are left to social assistance or to the mere inadequate "Old Age Pension" that is NOT a living income. Let's pay close attention to what is going on here. Workers have always got the dirty end of the stick, so it goes on, even in today's modern world where we expect fairness and good sense to prevail. Workers United Will Never Be Defeated. The Struggle Continues. Shameful that the management that lead the company to its sorry state get hefty retention bonuses to stay on but the workers that tried to keep the operations going are left to twist in the wind. And we all know that Trudeaus govt will study the p[problem but do nothing.